Even old watches have value. And when it comes to top-notch quality, rarely anything can beat a Rolex. Here at the Gold ATM, we are more than aware of this fact. This is why we’ve decided to help any potential seller to do the right thing with their used Rolex watch. Naturally, people first consider selling their watch online. Some are even desperate enough to do it on the streets. But either option can go wrong really fast if the seller isn’t careful. We always suggest finding a Rolex watch broker that knows how to treat a watch with a strong “pedigree” behind it. The Gold ATM works really hard to be that perfect buyer, and not without reason either. What Can the Gold ATM Offer? We offer a wide range of benefits to Rolex resellers. For example, we always take into consideration that a Rolex is more than just a brand. It’s a powerful tool that tells time with almost atomic precision. That’s why we encourage potential resellers to put forward their watch, whatever its condition may be. To put it simply, it doesn’t matter if the watch has scratched crystals, broken or lost straps, watermarks or any other sign of wear and tear. In fact, we will even consider Rolexes that don’t work at all. Any Rolex is welcome at the Gold ATM, as long as it is a genuine article. Whenever possible, we urge our resellers to include warranty cards and the original packaging of the watch. That will give it more market value, and our client will earn more money from it. The Gold ATM has several locations in Atlanta, GA. Our main office is in the Galleria area, close to Roswell and Hartsfield, and only a short drive from Buckhead. Of course, anyone is welcome in our offices located in these three districts as well. We should note that the Gold ATM isn’t just a watch buyer. 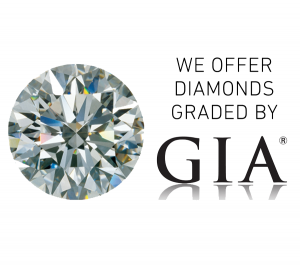 We also function as a diamond buyer, as well as a gold buyer. Any further information about our services can be found on our official website. An expert’s opinion is key when it comes to reselling Rolex watches, and we here at the Gold ATM know this very well. That’s why we always advise our resellers to appraise the watch ahead of time. Of course, the best place to do it is at a reputable appraiser who has been doing his or her job for years. Naturally, they will provide an offer to the seller, but there is absolutely no obligation to sell the watch right there on the spot. As stated, a Rolex is a one-of-a-kind watch. With that in mind, resellers should know that not everyone can appreciate it. Finding the right buyer is important, and this buyer has to be like the seller (and like us at the Gold ATM) – a connoisseur of watches who knows quality when he or she sees it. It’s always important to know the model of the Rolex, when it was made and what condition it’s in. This is probably one of the most important pieces of advice the Gold ATM provides the potential resellers. Pawning a Rolex can be a massive mistake, as the owner can lose it forever once the pawn shop resells it. It’s wise to wait for a little while and sell the watch at a higher price to a proper appraiser.